The home of the Duke of Hamilton. 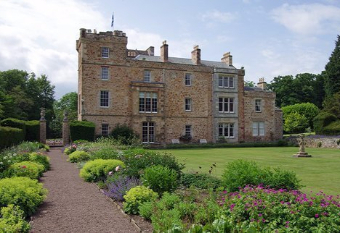 It features a 14th century keep originally built for Maitland of Lethington, Secretary of State to Mary, Queen of Scots. It houses a unique collection of Mary Queen of Scots mementos, including paintings, jewellery and the famous Silver Casket – this one contained forged letters which implicated her in the death of Lord Darnley and ultimately led to her execution. Also contains furniture, paintings and porcelain once part of the Hamilton Palace collection.